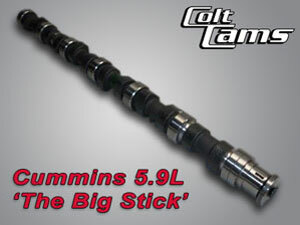 Colt Cams is proud to introduce our latest grinds for the Cummins 5.9 - 6.7L B series engine! We've worked long and hard to develop these great new profiles. We've dyno'ed some 50 different combinations of durations, lobe separation and installed centerlines to come up with the ultimate cam for your Cummins 5.9 - 6.7L. We have a large quantity of new cast billets in stock ready for you! 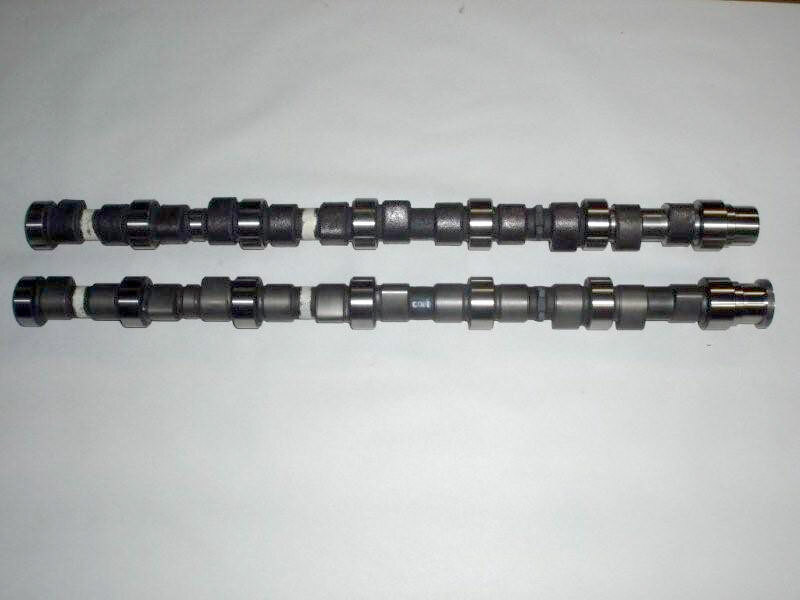 Our 5.9 - 6.7L Cummins cams are available in 6 stages. We are always willing to customize alternative grinds as well. Stage 2: This is very similar to stage 1 but with a longer duration and lift on the exhaust side for engines with a slight restriction—or if you just want a little more exhaust flow. Stage 3: Nicknamed the "BIG STICK". It has gained the most popularity. This cam delivers the strongest mid-range torque and H.P possible, but still has good bottom end and drivability. No mods are required, but we do recommend a set of springs if revving over 3000 rpm. At the bottom of this page are the specs for the stock and performance grinds. The secret to the outstanding performance of these cams is their ramp velocity and acceleration. Stage 4: Cummins 5.9 -6.7. Similar to the Cummins stage 3 but runs a larger EXH profile. Great for max flow on large singles or compound turbo. fillet radius. Optional retainer plate. Prof. I.D.# @ .050 ADV. Hi Torque, bottom end fuel economy cam. New torquer cam. Better exhaust flow and better fuel economy. "The Big Stick". Our most popular drop in cam. Best for all round' power. $375.00 USD (regrind price), $599.00 USD new cast billet. Straight drop in, good to 4400 rpm. $649.00 USD, new cast billet. Valve clearance required, good to 5000 rpm. $699.00 USD, new cast billet. Stage 5.5 INT. 218° 0.323 108 Valve clearance required, good to 5500 rpm. C.797.S EXH. 228° 0.329 $775 USD, new cast billet. Valve clearance required. Full race / sled pull, good to 6500 rpm. $849.00 USD, new cast billet. $60.00 USD less on re-grinds and new cast billets compared to the 6 cylinder. 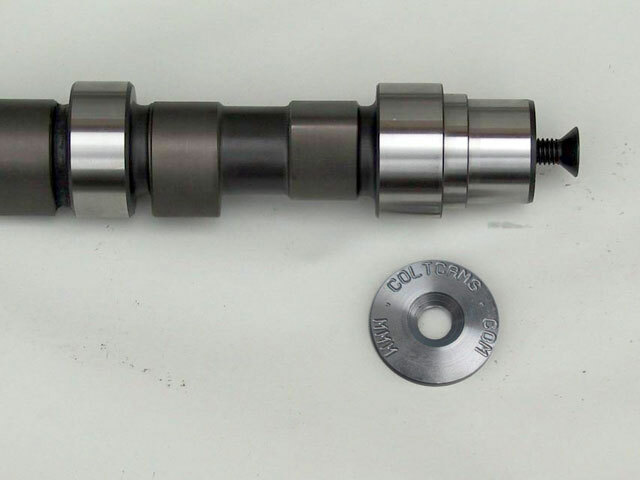 NOW AVALIABLE: COLT CAM'S OWN LINE OF NEW TAPPETS, ONLY $160.00 USD A SET! 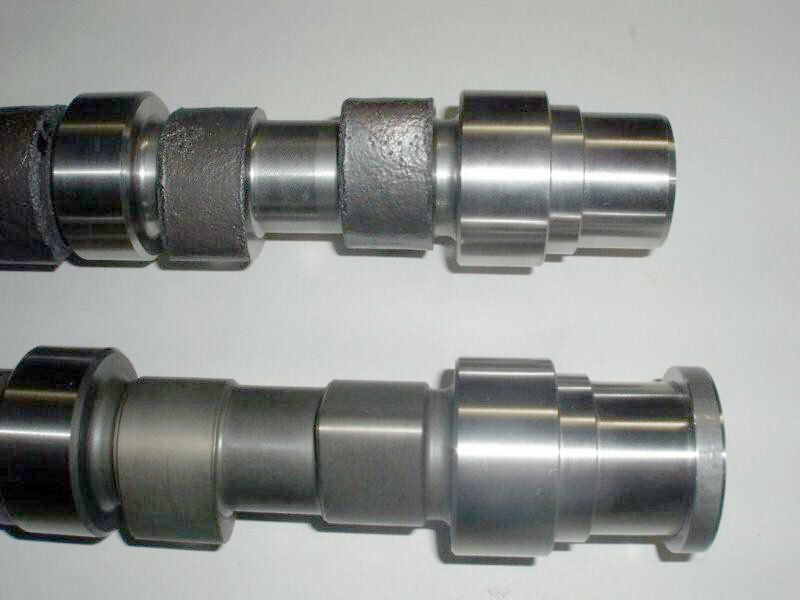 Our tappets have maximum crown for the best rotation on break in -- exclusive to Colt Cams! Valve lash all grinds: INT: .010" EXH .020" cold. Follow Cummins installation instructions, use adequate amounts of assembly lube. Retainer torque 44 ft lbs – use red loctite. When using our retainer, clearance is required on C.R. C.R. cams cannot grind to stage 3, only to 1 and 2. 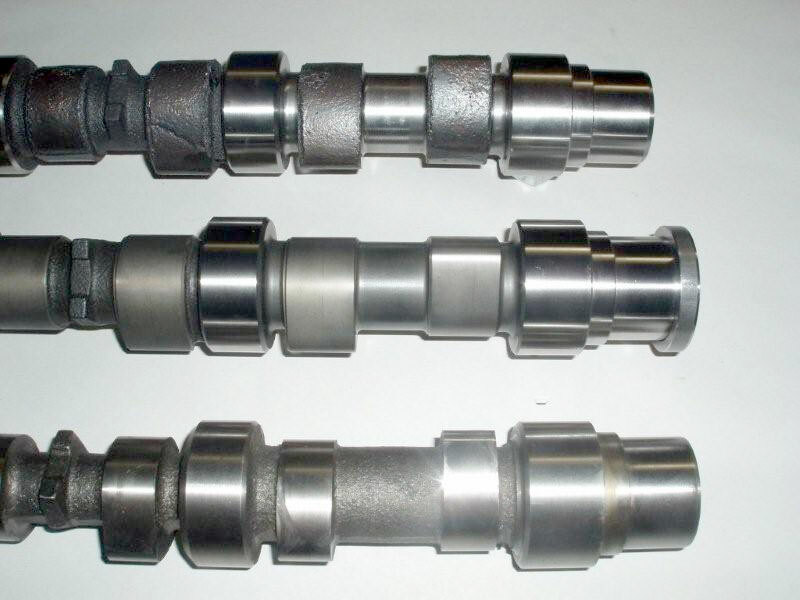 You must use 24V 2nd core or new cast billet cams for anything over stage 2 grinds. EXTRA CLEARANCE MAY BE REQUIRED ON CAM CORE! Cam Lube on all lobes, lifter faces and oil pump gears. Always turn engine over by hand before starting, check for clearances and proper timing location. Fire up to 1800 – 2000 rpm. for 18 – 20 minutes.